Forget the hot cocoa and twinkling lights. Warm, inviting texture is how I layer on a big hit of cozy during the holidays. From cushy velvet pillows to baskets full of crisp, seasonal greens, it's simple, classic elements that make my late fall / winter decorating super easy. And comforting. And most of all.....versatile enough to last from Thanksgiving dinner all the way to New Year's Day. This year it's a combination of old favorites, and a few new touches, that make my home a great place to cuddle-up and enjoy the season. Here's how a bit of texture can add interest, color and pop to your phase three home through out the holidays. Bittersweet is like the 'little black dress' of winter decorating; a stylish, go-anywhere, must-have that brightens any table, door or container.........and just the perfect complement for this gorgeous bleached wooden bowl from HomeGoods. This elegant metal charger tray from Pottery Barn (stores only), works year round as an ideal everyday table top accent (love!! ), but dresses up for the holidays in a snap, with a few simple sprigs of magnolia! 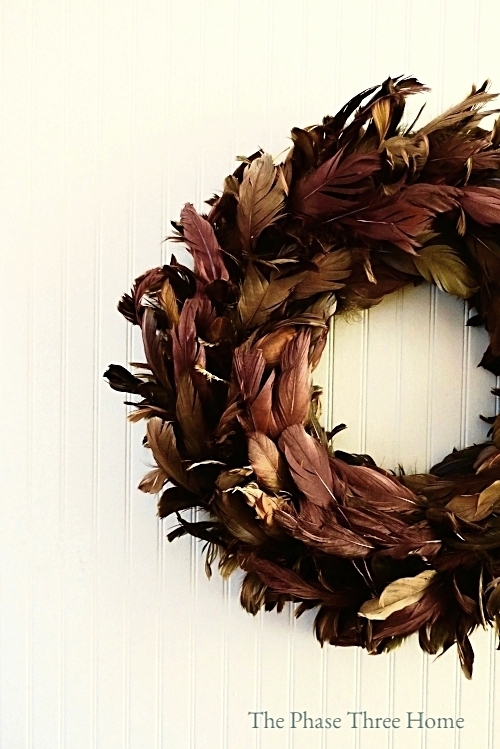 An old feathered wreath purchased from a country home & garden store, circa 2005, up-styles any wall or mirror with color and tons of seasonal texture ( similar wreaths, Etsy). For a break from the holiday crazies, there's nothing like snuggling up to a super soft velvet pillow and a great cup of coffee. I fill all my sofas and chairs with them during these chilly winter months. Above, Grey Velvet Pillow, Room & Board and this charming Happy Holidays Velvet Pillow, in soft white, HomeGoods. And of course, faux fur---for that extra bit of warmth and comfort. Faux Fur Pillow Cover in Chinchilla and Ruched Faux Fur Pillow Cover in Ivory, both Pottery Barn. 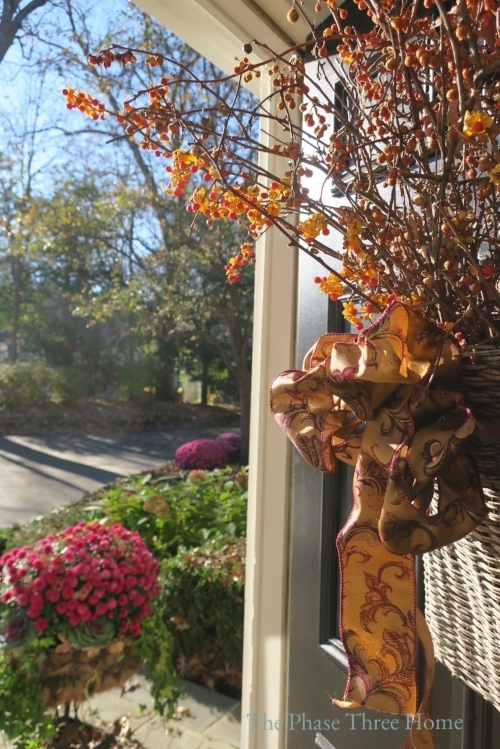 My go-to front door accessory this time of year? Weathered, flat-backed wicker baskets spilling with bittersweet or Christmas greens, to welcome family and guests. These are estate sale finds, but similar containers can be found at any craft, or home and garden store . Great investment.... and apparently you can never have enough! And of course, bins and platters of large-sized pacific northwest pine cones offer irresistible warmth and appeal. These are from a local favorite spot of mine here on Chicago's North Shore, Pasquesi Home & Garden. Hope you find the perfect mix of texture and comfy elements for your holiday home!